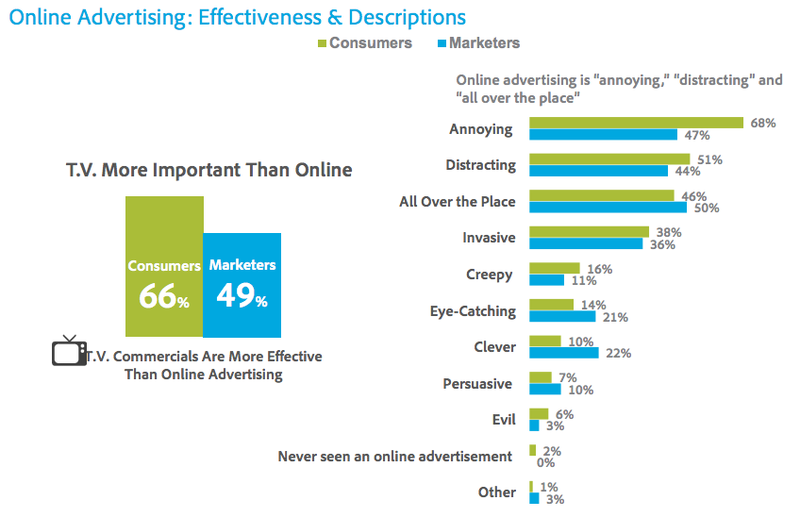 Almost a third of consumers (30 percent) think online advertizing is not effective, while more than half (54 percent) reckon web banner ads don’t work. 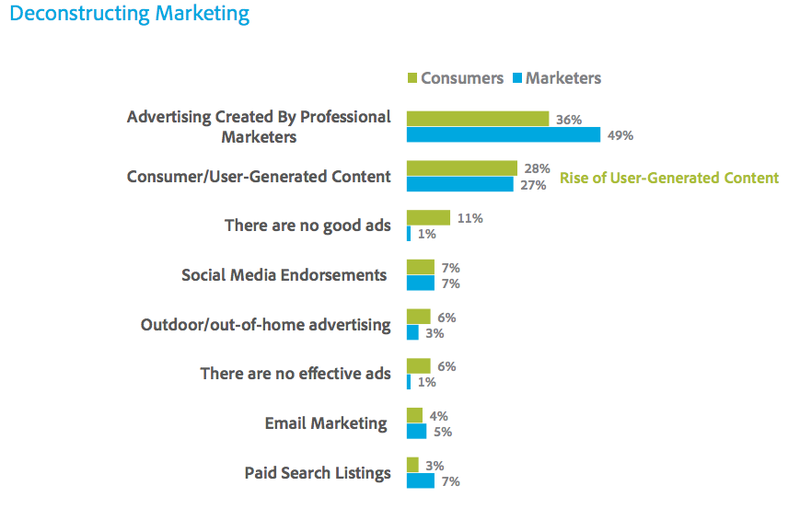 Unsurprisingly a smaller percentage of marketers held those views (16 percent and 33 percent respectively). 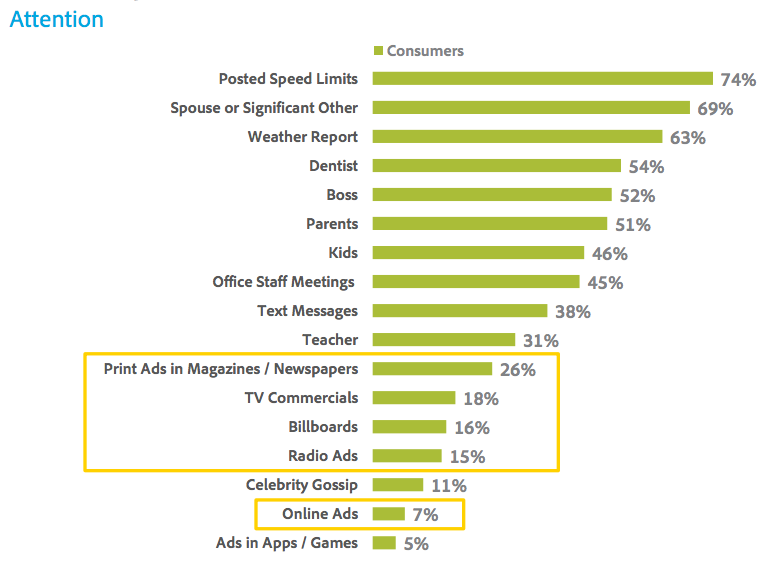 A sizeable majority (66 percent) of consumers polled believe TV commercials are more effective than online advertising. The two most preferred places to look at an ad are print magazines and when watching a favourite TV show. But a favourite website was third in the list, just above billboards — albeit only favoured by 11 percent of consumer respondents. 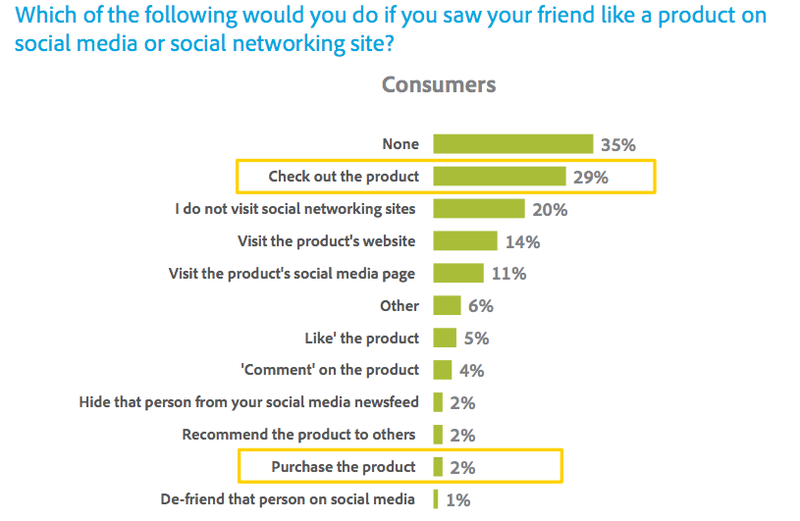 On the social media front, the survey found a small majority (57 percent) of consumers have “liked” something on social media on behalf of a brand they enjoy. More than half (53 percent) said they would very much like to have a social media “dislike” button.